Dubai: Breaking traffic rules may lead to more serious consequences than just a traffic fine, as the loss of life becomes a probability. During the first six months of 2018, Dubai Police recorded 76 deaths and 884 injuries in 1,250 major traffic accidents. While the number of fatalities remained the same compared to 2017, the number of traffic accidents decreased from 1,447. Brig Saif Muhair Al Mazroui, director of Traffic Department in Dubai Police, attributed the drop in road accidents due to an increase in road security control and police’s efforts in raising awareness about traffic rules violations. 1. 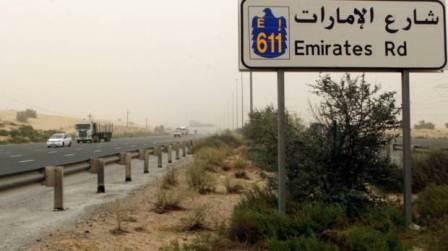 Emirates Road with 14 deaths and 30 serious traffic accidents. 2. Shaikh Mohammad Bin Zayed Road had eight deaths and 72 traffic accidents. 3. Shaikh Zayed Road had eight deaths and 69 major traffic accidents. 4. Dubai-Al Ain Road witnessed four deaths and 26 serious accidents. 5. Al Khail Road had three deaths and 34 accidents. Brigadier Al Mazroui cautioned motorists to follow traffic rules at all times, follow the speed limit and to leave a safe distance between vehicles.